Marriage is God's answer for our deepest human need-companionship. And that, according to counselor and relationship expert Dr. Gary Chapman, is to have deep and lasting union with another, and to truly become one. But how can you build that oneness from the beginning? 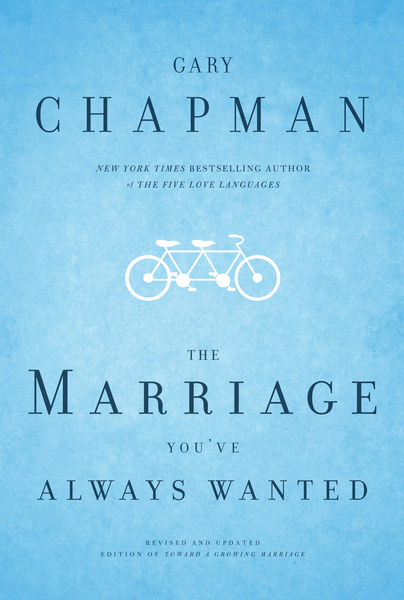 With the expert wisdom and practical common sense that have made him a popular speaker worldwide, Dr. Chapman helps couples with such questions as: Why won't my spouse change? What does it really mean to love someone else? How do I get him to listen to me? What if I'm the only one working at the marriage? Formerly titled Toward a Growing Marriage, Dr. Chapman covers topics like meaningful communication, expectations, and money management. Questions at the end of each chapter encourage interaction between husbands and wives. Includes an updated resource list at the end of the book.